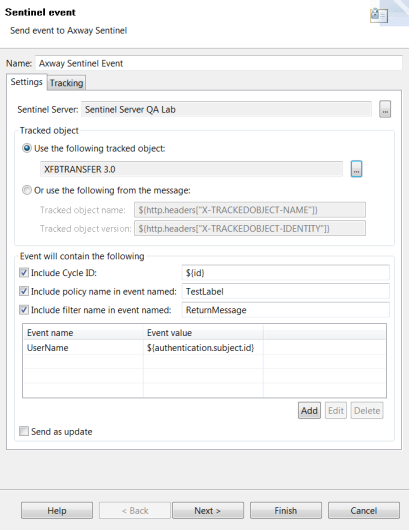 You can use the Axway Sentinel Event filter in API Gateway to configure the tracked-event message to send to Axway Sentinel. Note The tracked object definition must already exist in Axway Sentinel (see Configure Axway Sentinel). 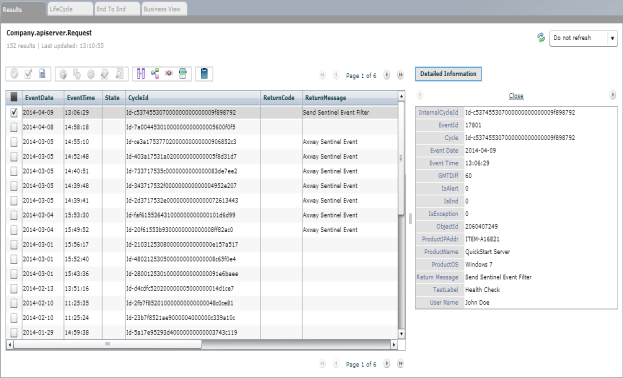 The following figure shows the configuration window for the Axway Sentinel Event filter, which is available in the Monitoring category in Policy Studio. To configure the tracked object click the browse button next to the Use the following tracked object field. 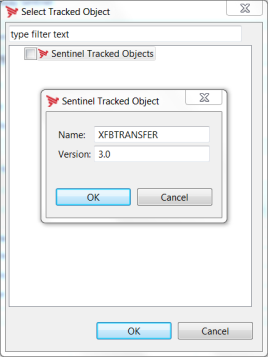 In the dialog, right-click Sentinel Tracked Objects and select Add a tracked object. Enter the required Name and Version in the dialog and click OK.
For more information on configuring the Axway Sentinel Event filter, see the API Gateway Policy Developer Filter Reference.